Web Developer. Startup Enthusiast. Tech Nerd. Polymath. I'm Kyle Taylor, you friendly neighborhood all-around-everything-doer. By day I work as a web/Drupal developer for an agency called Levelten Interactive. We’re a small team, but we build big sites. In my spare time, I’m a startup community evangelist. 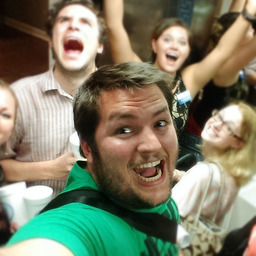 I am a Startup Weekend facilitator, Startup Digest curator, and run a ton of events in Dallas, ranging from Startup Weekend to Lean Startup Machine and the occasional hackathon when I get the chance. I’m also a co-founder of a non-profit collective in my hometown of Denton called TechMill. We’re a group of bootstrapped startup community builders, doing everything we can to support the Denton tech and startup community - from running open coffee clubs, tech drinkups, and even a conference over bootstrapping. We love our city and our community - and we do anything we can to support it. Things I do that you might be interested in. Things I do that you probably aren't interested in, but might still be fascinating. I got engaged through Pandora the night I graduated college. When I was in school, I published a paper with one of my best friends, Brett McCormick, over tracking public transportation with smart phones.